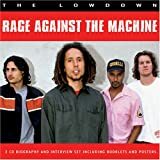 Amazigg: Latest products by brand: Video Music, Inc.
Home » Brands » Video Music, Inc.
Amazon.com pre-selling new Rage Against the Machine CD? Titled "Lowdown," it's set to be released August 28, 2007. No album art is available. Is this the real deal?